A Black Country retail park has been sold for £175 million. 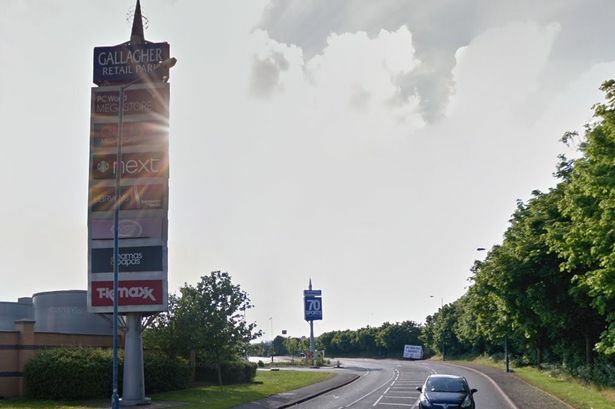 Gallagher Shopping Park, at junction nine of the M6 in Wednesbury, has been acquired from KKR by South Korean investors Hana Financial Investments via a fund managed by Korea Asset Investment Management. The transaction is believed to be the largest single asset sale in the UK retail warehouse sector this year and this is the first time the Seoul-based investors have bought into UK retail. Gallagher Shopping Park is home to many major retail names such as Next, Currys and TK Maxx. The park was acquired by KKR and its operating partner Quadrant Estates in 2014 by piecing together three separate ownerships at a cost of £123 million. The owners then amalgamated the three distinct car parks to create one shopping hub and added new restaurants units to broaden the offer there. Guillaume Cassou, head of European real estate at KKR, said: "We backed a fundamentally good asset in need of repositioning and Quadrant Estates implemented an intensive business plan over four years that has resulted in a great end product." Christopher Daniel, founding partner at Quadrant Estates, added: "We achieved exactly what we set out to do with the park. "We created an asset that is now ranked as one of the top ten in the country." Sangmin Lee, chief information officer with Korea Asset Investment Management, said: "We are delighted to have acquired this asset which offers our investors an attractive combination of secure income returns and longer term upside potential. "We are attracted to it by its inherent strength evidenced by the retailers&apos; trading performance and location. "We are looking forward to working with Quadrant as our local asset manager to secure the future performance of the park during our investment period." KKR and Quadrant were represented by JLL and Wilkinson Williams. Hana Financial Investments and Korea Asset Investment Management were advised by Montagu Evans.